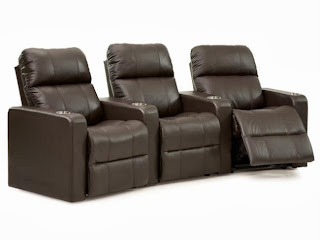 4seating.com Blog: 'Tis The Season To Be Saving! 'Tis The Season To Be Saving! It's that time of year. We know: it's a hectic time. You're racing around, buying gifts for friends and family, preparing grand holiday meals, and somehow trying to get all of your ordinary day-to-day business accomplished at the same time. But if there was ever a time to take advantage of a bargain, it's the end of the year bonanza that begins just in time for Black Friday and doesn't let up until after New Years. 4seating is getting in on the holiday fun early this year, with a series of irresistible specials that will make being able to craft the perfect home theater a sparkling reality. What follows is a list of current pre-Black Friday bargains to be found on our website, with many more to follow! Our "early Turkey Day sale" starts off with a full 6% off all home theater seating. Simply enter the promo code on the site to receive the discount on any brand in our store (Palliser excluded). If you make a purchase of $2,000 or more, you can enter the promo code to receive our deluxe Montage Extended Warranty--a $50 per seat value--for free! (Palliser and Jaymar seats are excluded from this promotion.) This extended warranty will cover your seats up to five years, so that you never have to worry about spills, stains, or untrained pets. Dispense with bulky and unattractive slipcovers, never have to remind invited guests that they need to "be careful" around your seat, and never have to research about cleaning your chairs, only to find that your lack of expertise has made the situation worse. Simply call up Montage in the event of an accident and you will receive the full range of their services, from special cleaning products to expert customer service support that can tackle any range of furniture issues. Because it's the holidays, you may want to give a complete home theater set as a gift to special friends, family, or loved ones. If you make a purchase of $10,000 or more, simply enter the promo code on our site and receive $1,000 off of your total, which on a $10K purchase amounts to a whopping 10% discount (Palliser and Jaymar seats excluded). 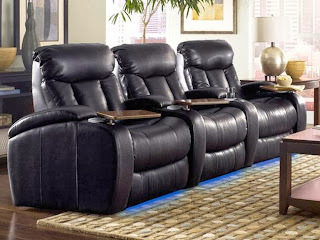 $1,000 dollars off of your purchase is like getting one or two chairs entirely for free! While Palliser seats are excluded from these earlier deals, they get their own exciting promotions. For any Palliser order over $2,000, you will receive the same free Montage Extended Warranty, which will protect your seat for up to five years. Or, if you make a Palliser order worth $2,500 or more, you can type in the promo code when prompted, and receive free white glove delivery of the products to your home. 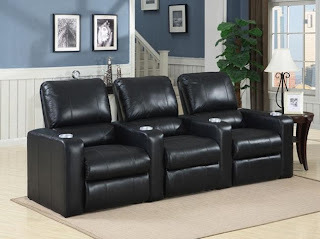 This $199 value will allow a delivery agent to bring the chairs into your room, professionally set up the furniture and dispose of all the packaging material, so that you won't have to touch a thing! For those who don't want to deal with moving heavy boxes from the curbside or having to assemble the furniture themselves, this is the perfect solution, now free with any Palliser purchase over $2,500. Finally, 4seating offers one of Seatcraft's exclusive line of chairs, The Barcelona, at a super-savings of 20% off. 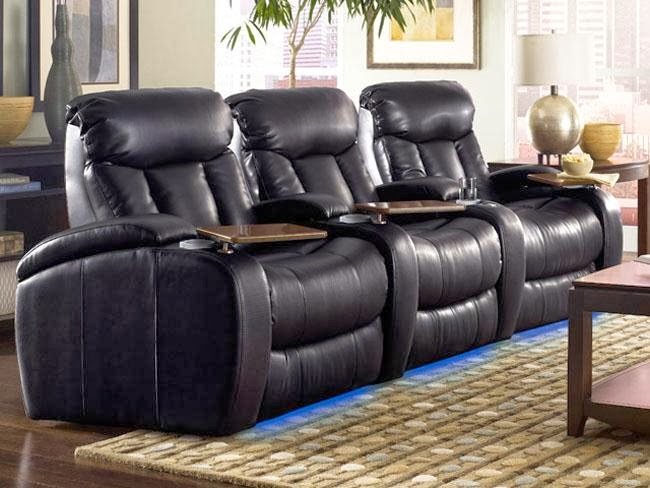 This handsome contemporary home theater seat comes in premium top-grain leather, with lighted cup holders and a chaiselounger footrest that provides full head-to-toe support. Simply type in the promo code on the site and receive this deluxe item at an amazing value, thanks to the guiding spirit of the holiday season. This is just the beginning, however--keep checking back with 4seating for more exciting promo specials as they happen in the coming holiday weeks!